As incentive compensation continues to be an integral part of the total compensation package for executives at publicly traded companies, A&M's Executive Compensation and Benefits Practice has conducted an analysis of the compensation arrangements at the 100 largest U.S. exploration and production companies. 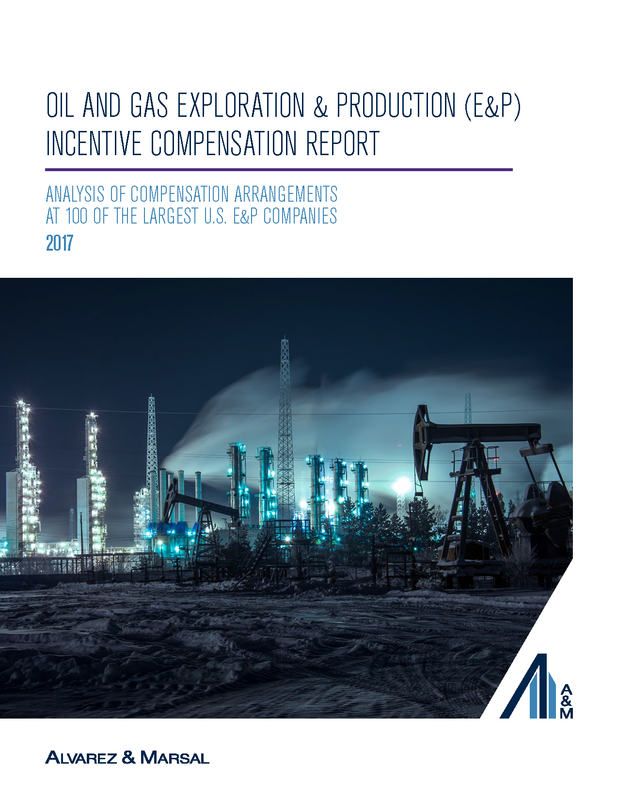 In the 2017 Oil and Gas Exploration & Production (E&P) Incentive Compensation Report, we examine the latest trends in incentive compensation, as well as total compensation packages for Chief Executive Officers and Chief Financial Officers in the energy sector and the benefits to which those executives are entitled upon a change in control. Finally, with the current state of the commodity markets, we address compensation arrangements at distressed E&P companies.